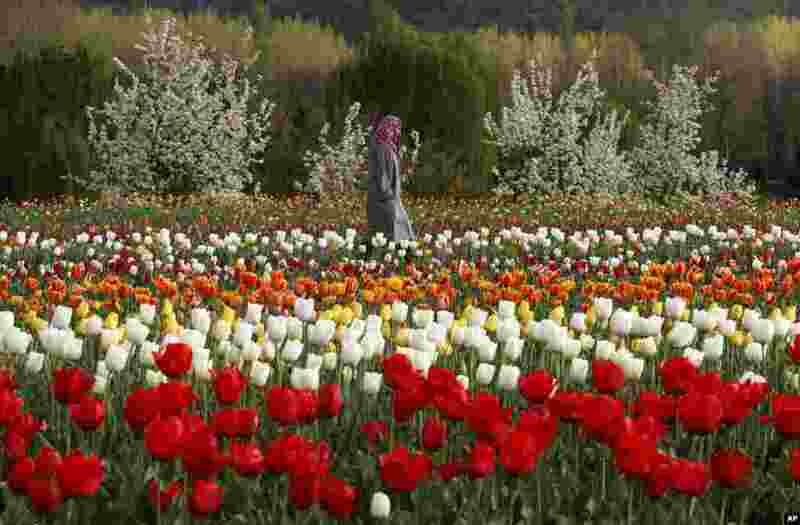 1 A Kashmiri woman walks at a tulip garden in the outskirts of Srinagar, India. 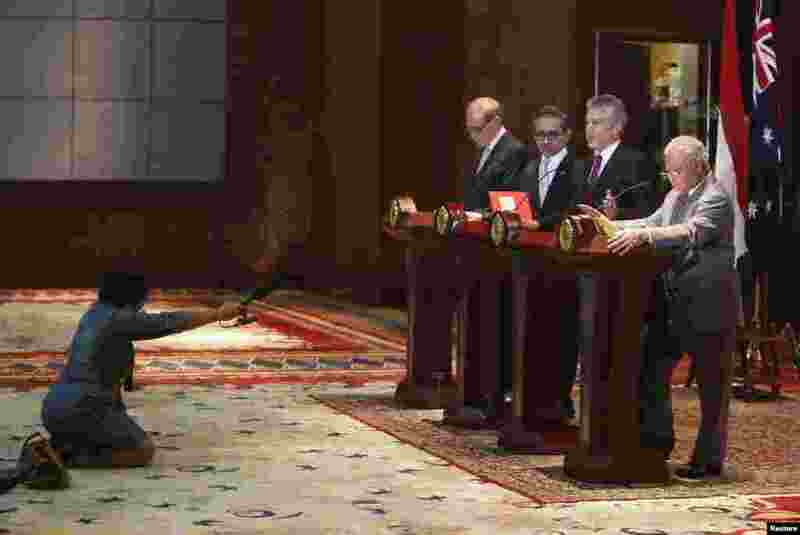 2 A reporter (L) holds a microphone during a joint news conference of Australia's Defense Minister Stephen Smith (2nd R) and Foreign Minister Bob Carr (4th R) with Indonesia's Foreign Minister Marty Natalegawa (3rd R) and Defense Minister Purnomo Yusgiantoro (R) at the Foreign Ministry office in Jakarta, Indonesia. 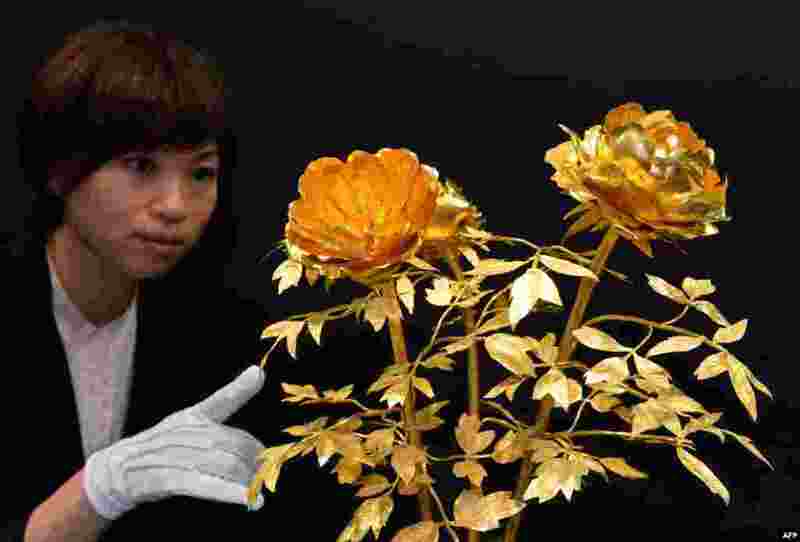 3 A department store employee displays flowers made of pure gold, 4.2kg in weight and priced at 157 million yen (1.7 million USD) at the "Gold Expo" exhibition at Tokyo's Matsuzakaya department store, Japan. 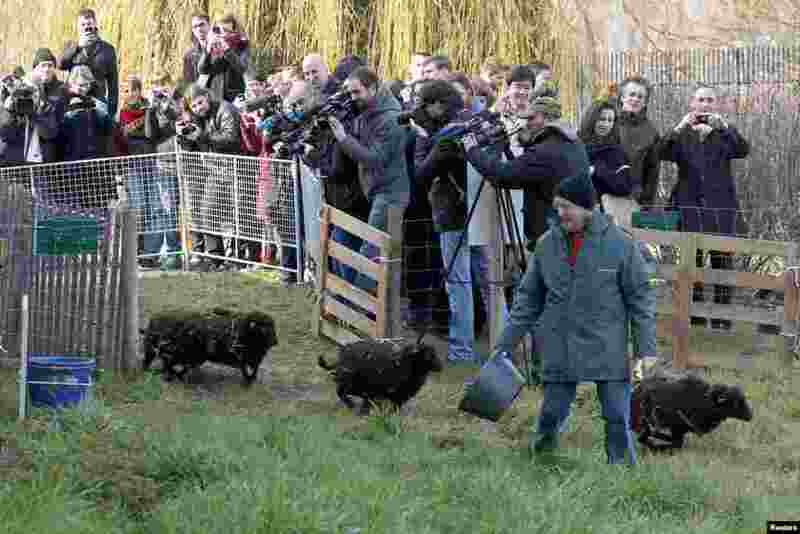 4 Journalists shoot the arrival of four sheep for the launching of an ‘eco-grazing’ experiment with a group of Ouessant sheep in a 2000m² green space owned by the French capital’s archives service, in the 19th district in Paris. The goal of the experiment is for sheep to graze at intervals until autumn on the parcel of land and to maintain it without weed-killers.